The Aero L-39 “Albatross” is a high performance military jet trainer developed in Czechoslovakia during the cold war. Pilots of the Warsaw Pact trained in the L-39 before moving up to MiG and Sukhoi jets. 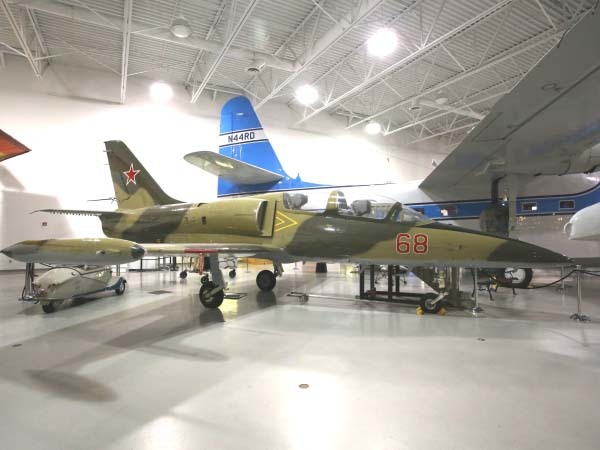 At the peak of production, the primary users of the L-39 were the Soviet Air Force, the Czechoslovak Air Force, and the Royal Thai Air Force. Today, the majority of L-39 owners are American pilots who seek a low cost private jet and find the aircraft’s simplicity, ease of maintenance, and relatively low purchase price irresistible. L-39 jets are seen in airshows around the USA and regularly participate in competition events such as the Reno Air Races.